James Bond is one the few things as quintessentially English as Fish and Chips. 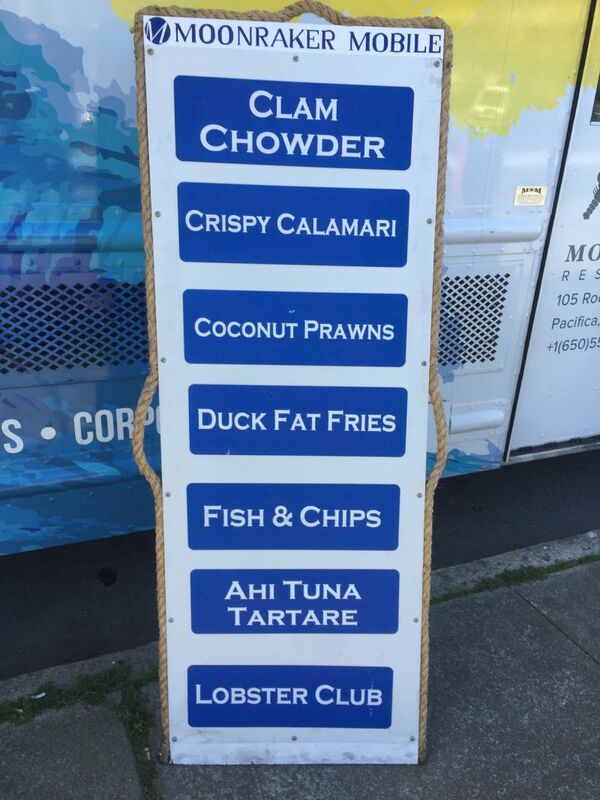 On a recent Friday, I saw a seafood truck called “Moonraker” whose menu included Fish and Chips. Moonraker is, even by Bond standards, a particularly non-nonsensical film, but given the name I had hopes that it could deliver an acceptable version of the meal. California Girl comments: All I can remember about this movie was the cheesy re-entry sequence with James bond and his bond girl. I still cringe thinking about Roger Moore. The cheese was thick with this one. LOL. 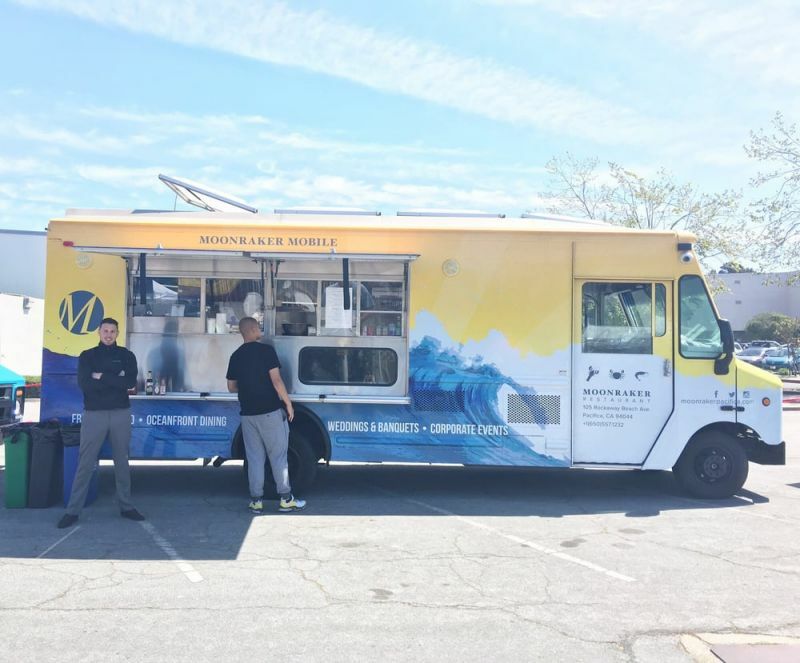 The food truck is from a restaurant in Pacifica, a coastal town South of San Francisco. I doubted that they actually obtained the name from the previously mentioned Roger Moore movie and the restaurant’s website explains the real reason behind the name. The Moonraker is a clipper ship sail that was placed at the top of the mast. In other words it is a nautical term and hence an appropriate name for a place on the Pacific shore. California Girl comments: This is one of those times where I am sad I don’t work in San Francisco. I miss out on all of the cool food trucks and the different cuisines. The Brit comes home and brags about his latest food conquests. Mmm fish and chips! 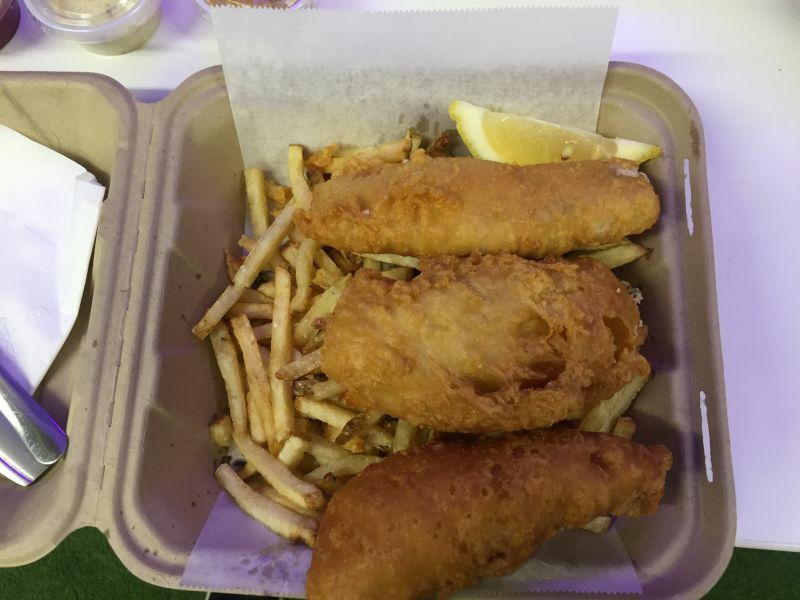 The Fish and Chips were not acceptable; they were substantially better than that. Light, crisp batter surrounding white flaky fish made the fish among the best I have tried in the US. There was a homemade tomato ketchup, whose flavour and texture made a condiment oft ignored a key part of my enjoyment of the meal. The one negative was that the duck fat fries, while a good execution of thin fries suffer from being just that and not the big, fat chips that should accompany this meal.